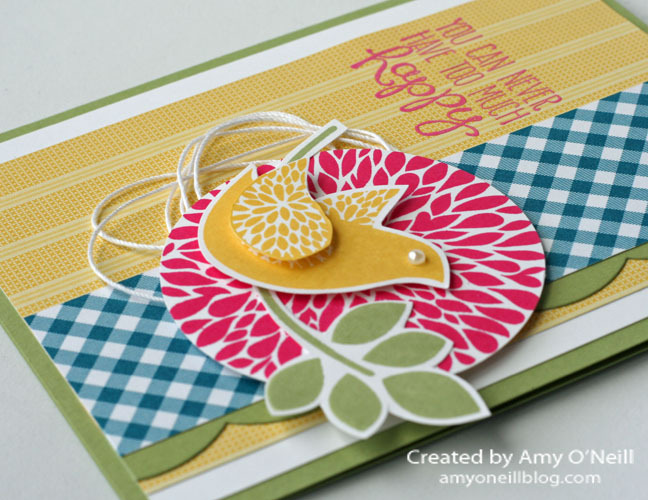 I’ve got another favorite stamp set on the retiring list to share today — Betsy’s Blossoms. This is just such a cheery, happy stamp set. 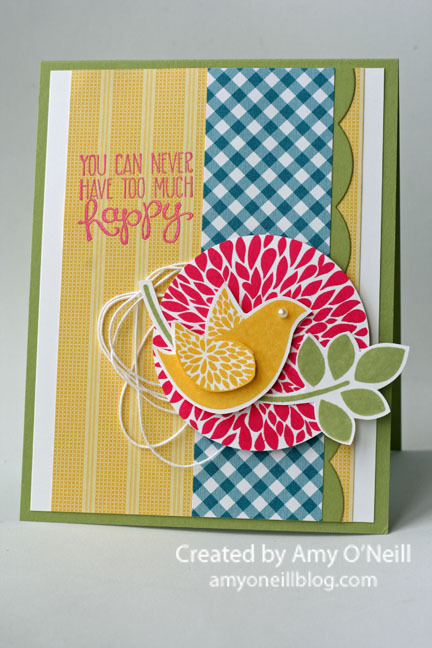 I decided to pair it with some cheery, happy dsp — Gingham Garden. I don’t have much of it left, and it’s retiring too! 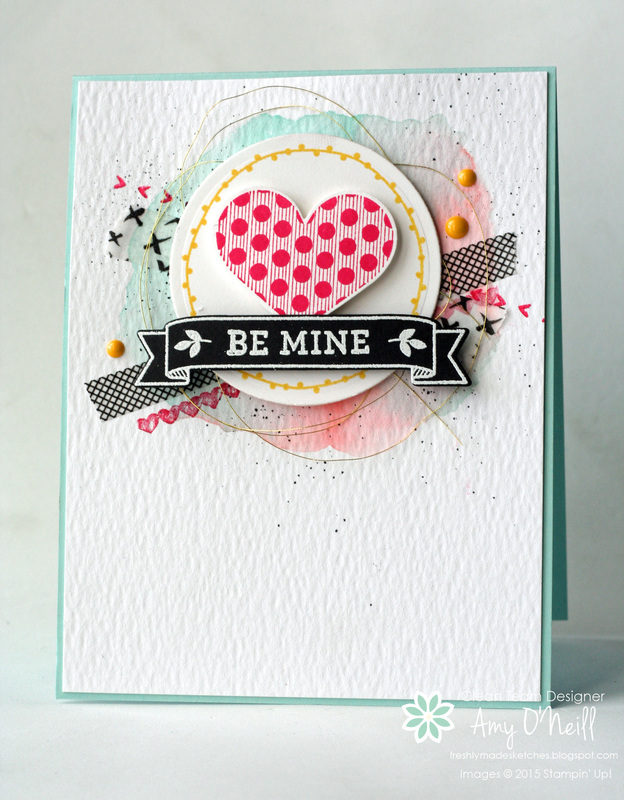 I embossed the sentiment with Melon Mambo Stampin’ Emboss powder (also retiring). 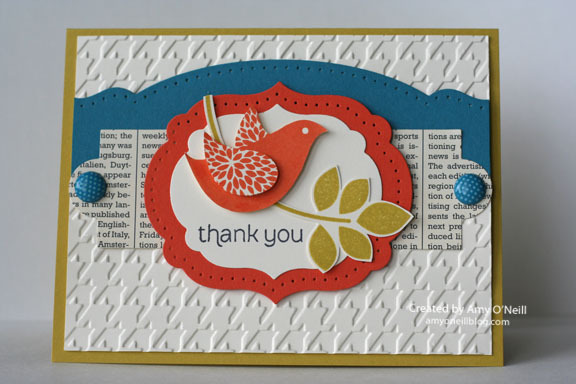 I used the Large Scallop Edgelits die for the Pear Pizzazz layer. And I haphazardly arranged some white crochet thread under the large bloom. Today’s post marks my 500th post on this blog. Wow! Time flies! It just doesn’t seem like it’s been that long. I thought I should give the blog a little bit of an update, so I redesigned the blog header using My Digital Studio and gave it a Spring look. Easy-peasy! I decided to pull out an old favorite set that I haven’t used in long time, Betsy’s Blossoms. I just used some new colors and other new products with it to give it a fresh look. I still love this set! 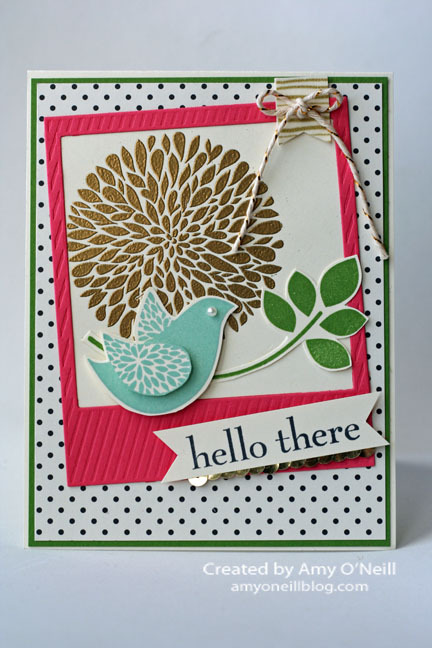 The large flower is embossed with gold embossing powder, and I added some other fun gold embellishments as well. 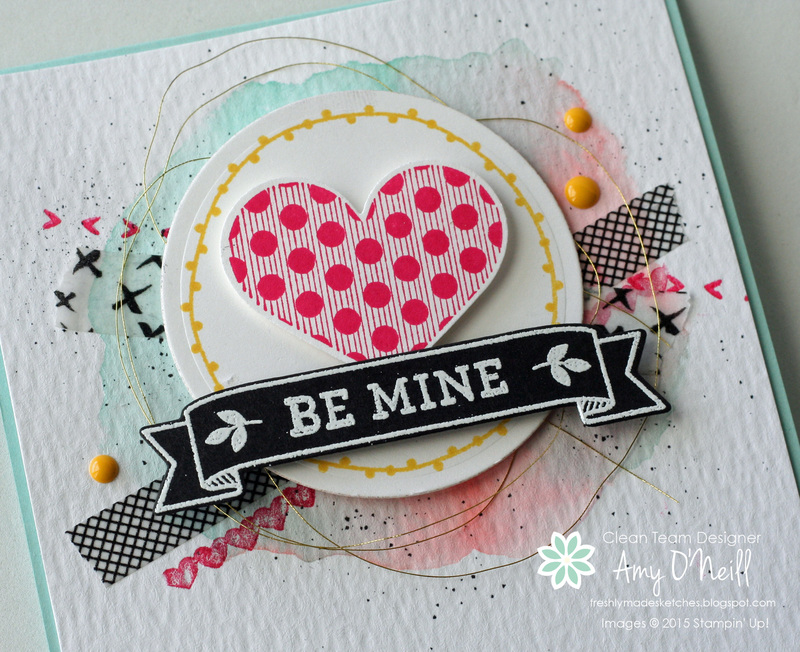 The winner will get a package of Epic Day This and That Designer Washi Tape, a roll of Calypso Coral Ruffled Ribbon, Lucky Limeade Baker’s Twine, and a Cloudy Day Textured Impressions Embossing Folder. Please be sure to check back on Tuesday to see if you’ve won, as I’ll need the winner to email me his/her shipping address. What I have most enjoyed about these past 500 posts is getting to make new friends through my computer. I love hearing from all of you, and I am so thankful for the comments and support! 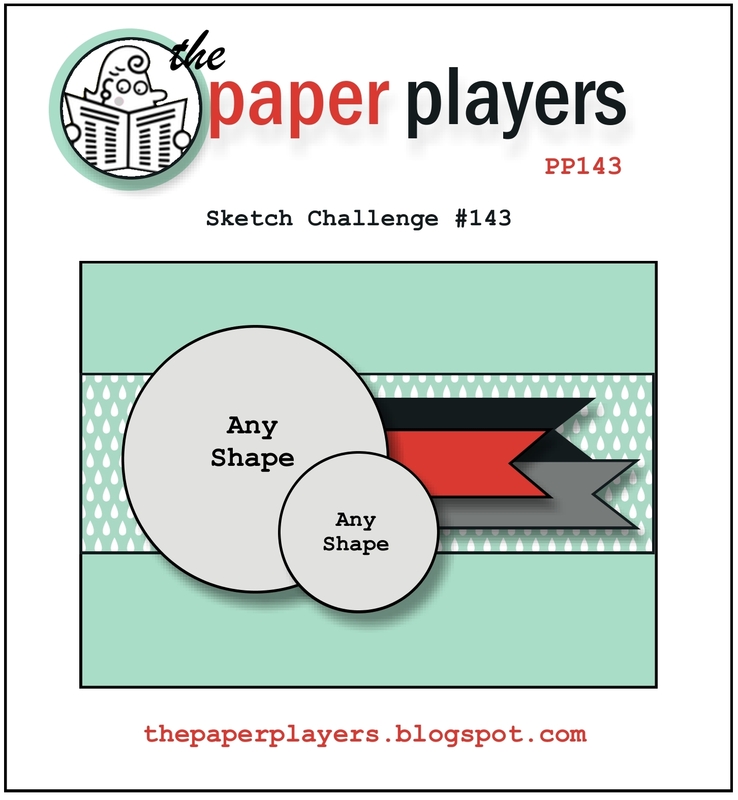 The super talented Ann Schach has a great sketch for us today at the Paper Players. I pulled out a neglected stamp set, Betsy’s Blossoms, which I am glad to see is not being retired next month. Go check out what the other designers made for this sketch. It’s always fun to see how other people interpret the same sketch. 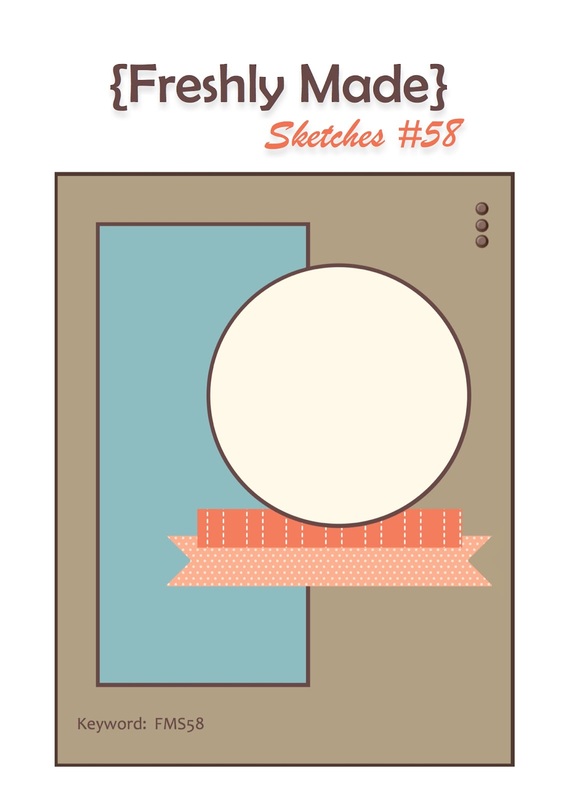 I wanted to play along with the sketch challenge over at Freshly Made Sketches today. I always love their challenges! 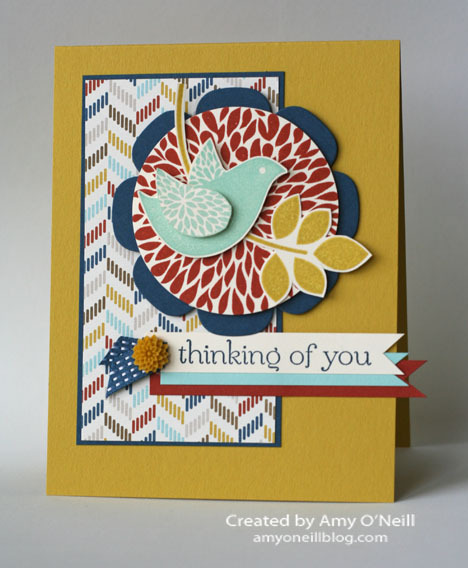 I started this card by choosing the paper. I knew I wanted to use the Comfort Cafe paper because I’ve barely used any of it. 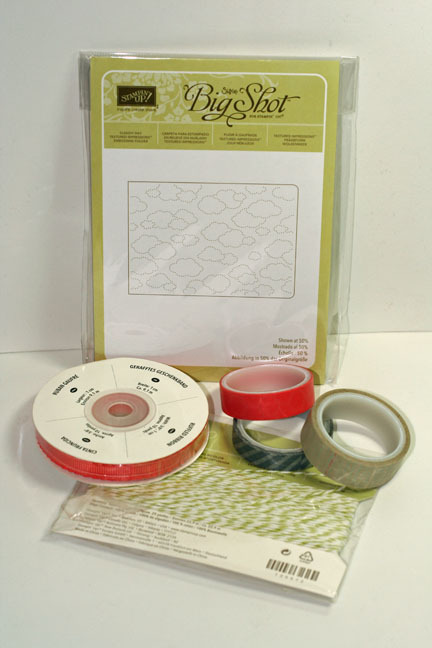 And when I went to select a stamp set, Betsy’s Blossoms called out to me because I haven’t used it in a while. Don’t you just love it when you have a vision for a project and it turns out better than you thought it would? That’s what happened to me with this project. 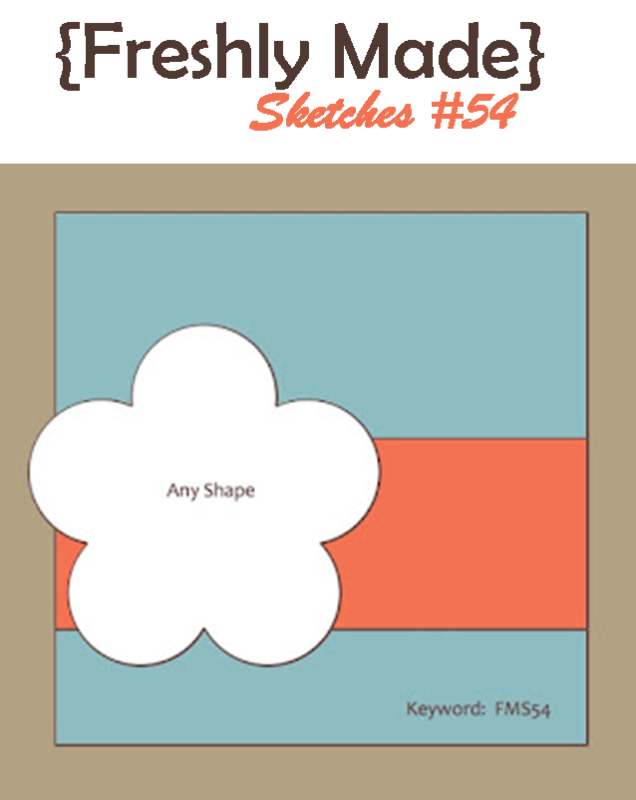 I started out knowing I wanted to participate in the sketch challenge at Freshly Made Sketches. 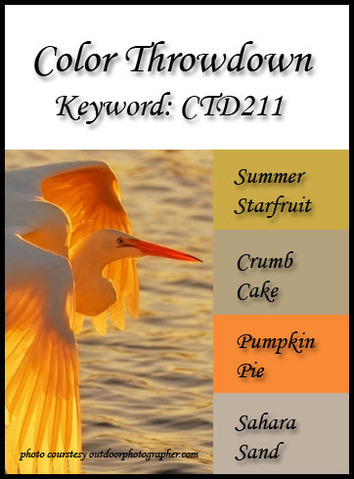 And then I decided I really wanted to try the color challenge at Color Throwdown, as the inspiration picture is just gorgeous. 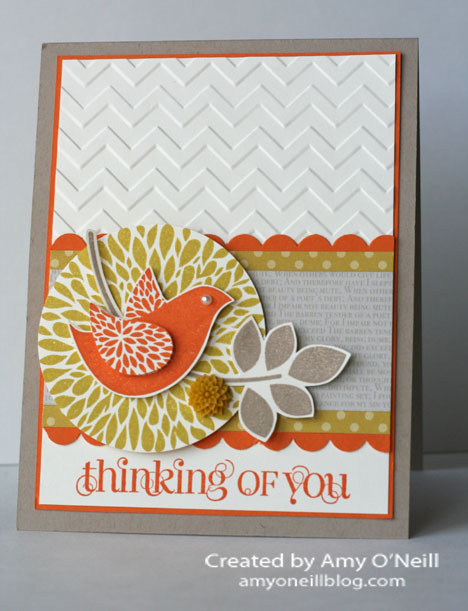 But when I pulled out the card stock in these colors, I was a little stumped. 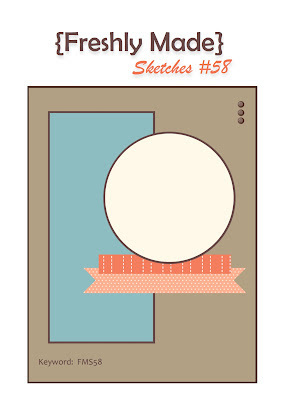 So I just picked a stamp set off my shelf and focused on the sketch, and the colors kinda took care of themselves. I ended up liking this combination of colors a lot! What a pleasant suprise! I love it when that happens! That’s one of the reasons I like participating in these challenges — sometimes you end up pleasantly surprised at what you like.